Though originally intending to review both Fist Fight and The Great Wall we were only able to film a review for the former after running out of space on our fine, but borrowed equipment. 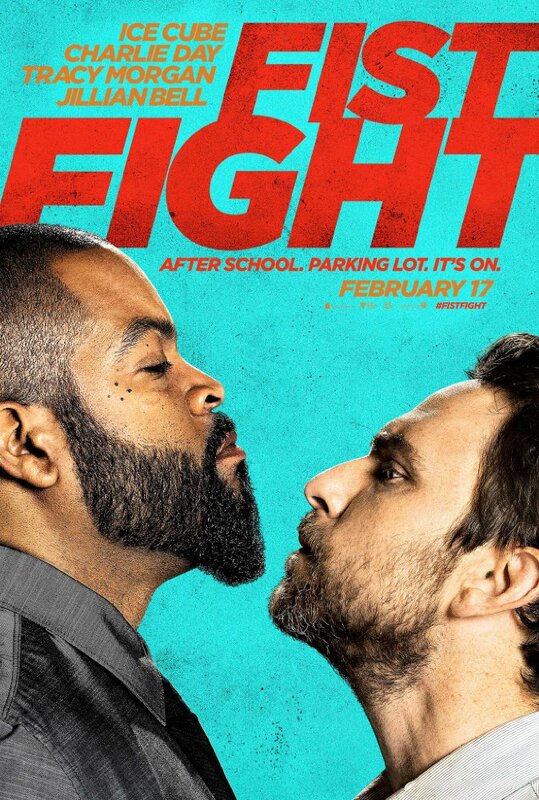 We saw Fist Fight first and just so happened to film that review first because of this, but it seemed the comedy starring Charlie Day and Ice Cube was also poised to do the best at the box office of the three new wide releases hitting theaters over President's Day weekend. Of course, given the circumstances-this was not to be. Rather, the top two spots at the weekend box office were filled by holdovers from last week as The LEGO Batman Movie dropped 35% and still won the weekend by a rather wide margin while Fifty Shades Darker added another $20.9 million to its nearly $100 million domestic total thus leaving room in third place for...you guessed it...The Great Wall. The Matt Damon-led action picture is budgeted at over $150 million and only garnered $18.1 million over the traditional three day weekend with an estimated $21.5 over the four day holiday weekend. That may not sound too great, but given the film was released in China back in November and has already garnered over $244 million internationally bringing its worldwide total to $262.7 million things are clearly not as dire as they at first may seem. With John Wick: Chapter 2 bringing in another $16.5 million it secured the number four spot at the box office with Warner Bros' release of New Line's Fist Fight rounding out the top five. The Ice Cube/Charlie Day starrer delivered an estimated $12 million from 3,185 theaters which was well below what box office pundits were expecting from the broad comedy whose legs may now be limited thanks to a lukewarm "B" CinemaScore from opening day audiences. A Cure for Wellness, the last new release of the weekend, finished in tenth place with a mere $4.2 million from 2,704 locations which doesn't bode well for the two and a half hour, $40 million picture. As always, follow us on Instagram, Twitter, and subscribe to our YouTube channel as we have a new review (or reviews) up each week! Read my full Fist Fight review here.